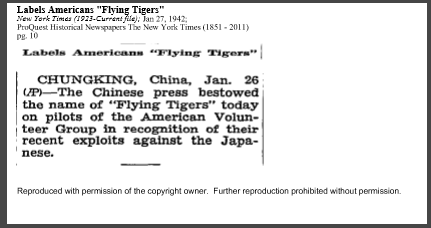 Courtesy of ProQuest National Archives, January 27, 1942. This document is known as a Blood Chit. All Flying Tiger pilots carried it with them. In case a pilot was shot down, the blood chit alerted all Chinese nationals. 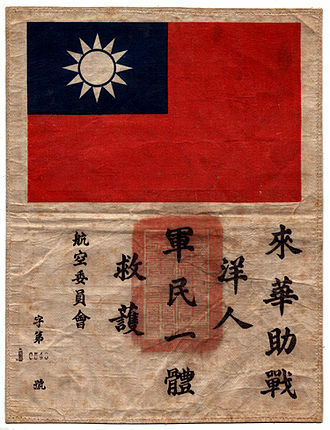 The Chinese characters read: "This foreign person has come to China to help in the war effort. Soldiers and civilians, one and all, should rescue and protect him."